* This breathtaking one layer Mantilla wedding veil by Mariell features an exquisite sculpted 2 3/4" Alencon Lace border. 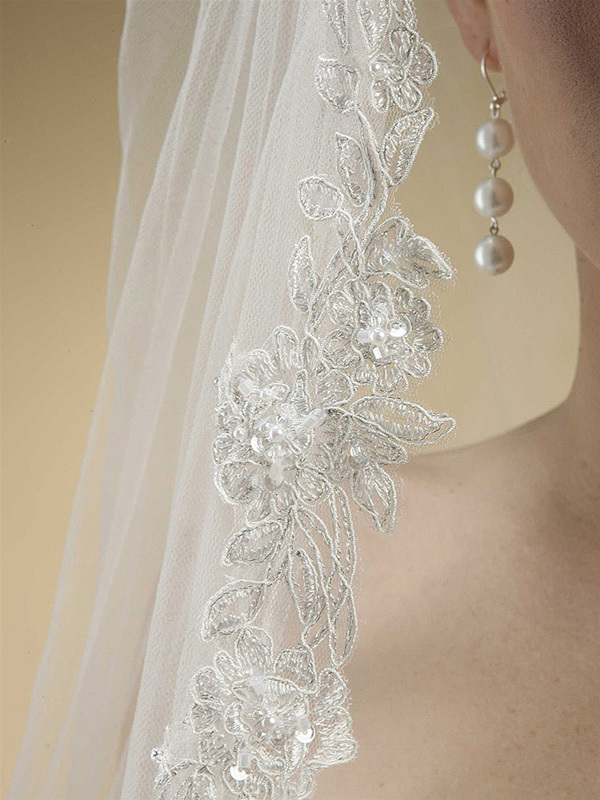 * Our stunning veil is highlighted by an intricate floral applique; pattern adorned with Sequins, Pearls and Bugle Beads. 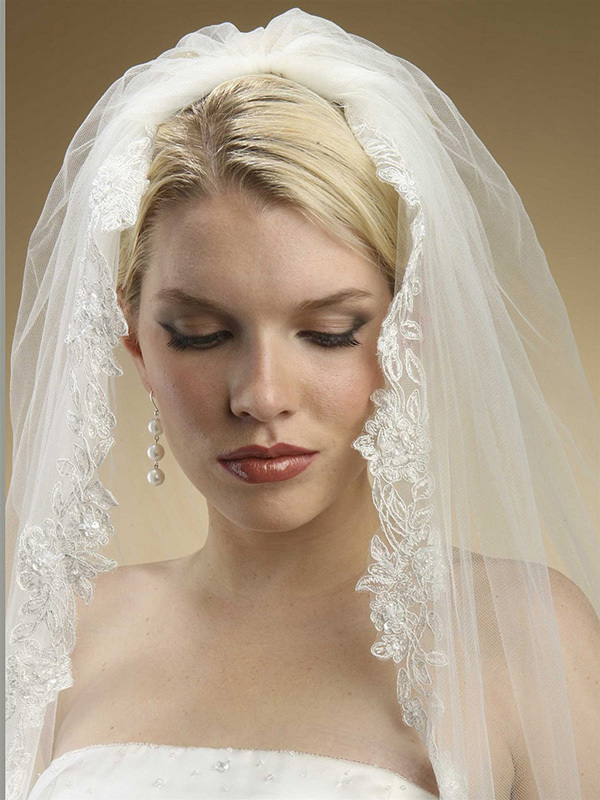 * This haute couture veil has sleek styling coupled with European vintage flair.